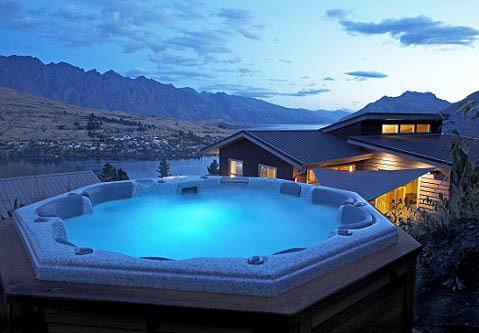 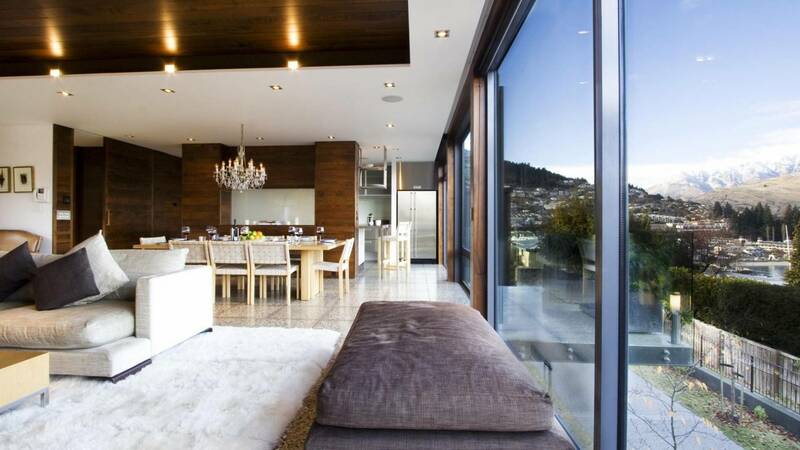 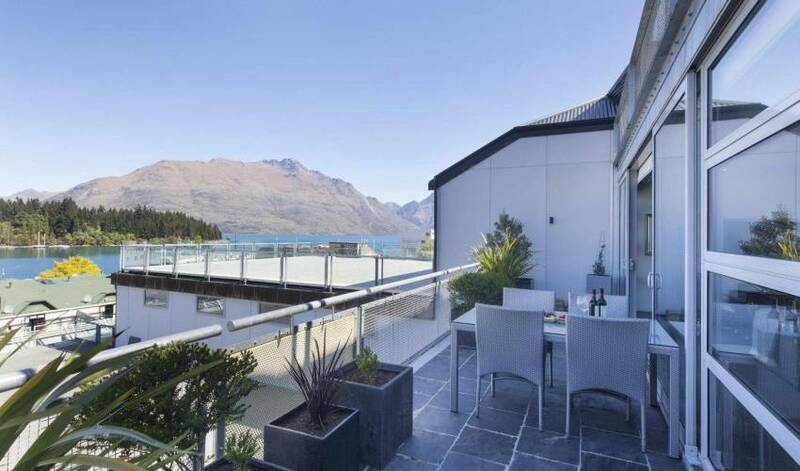 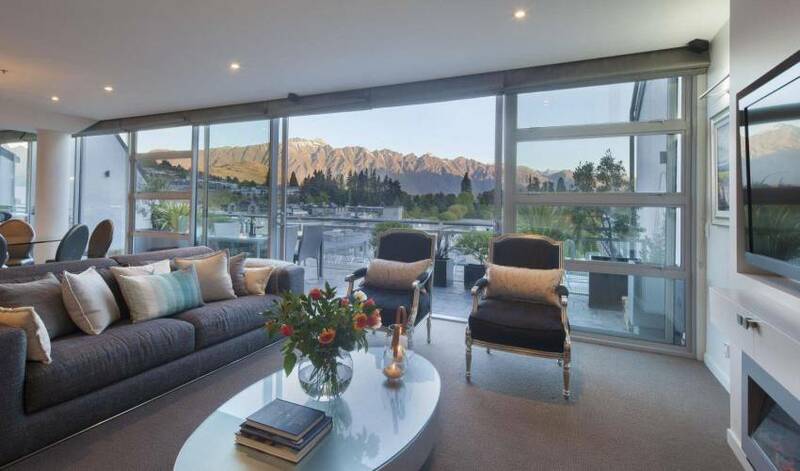 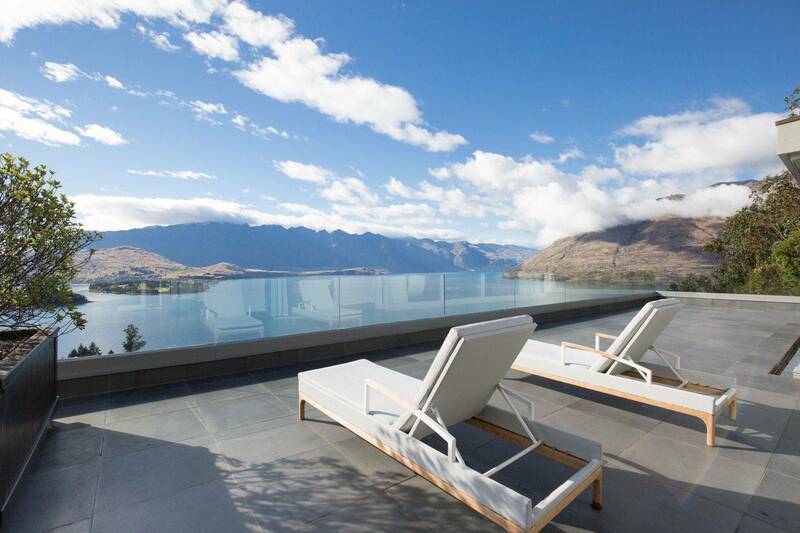 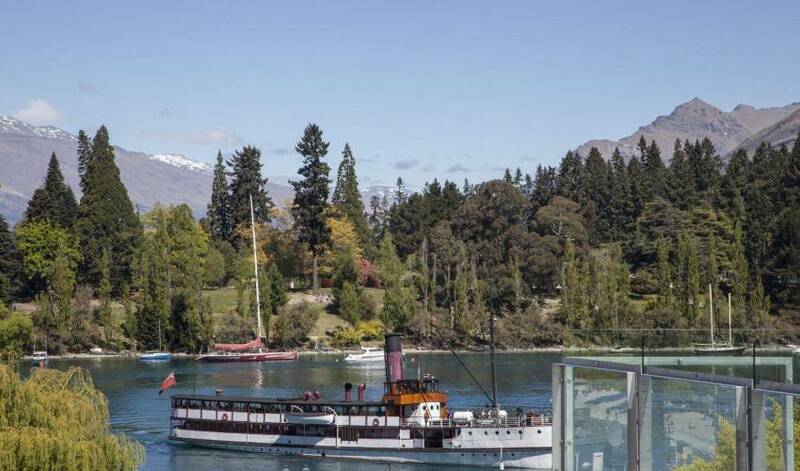 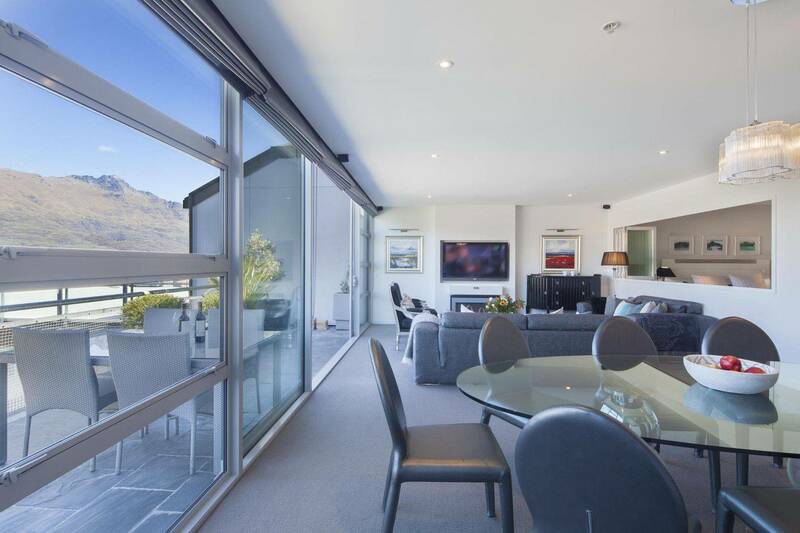 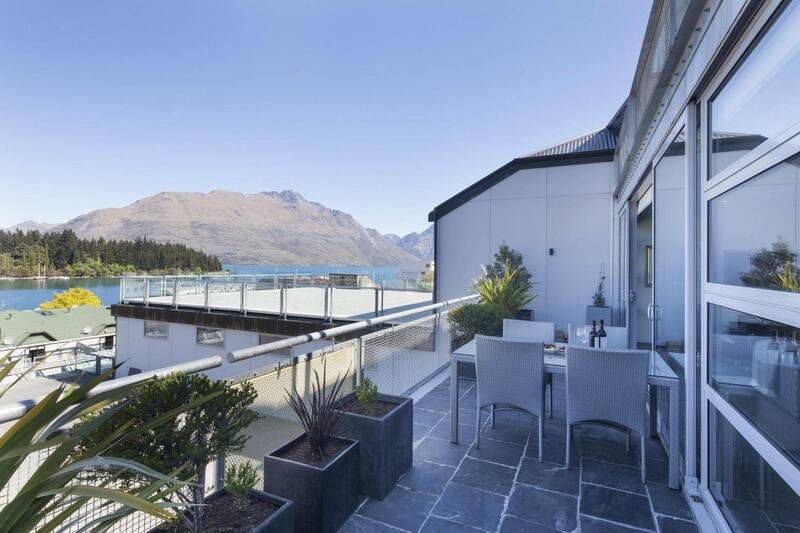 An exquisite property, right in the heart of Queenstown. 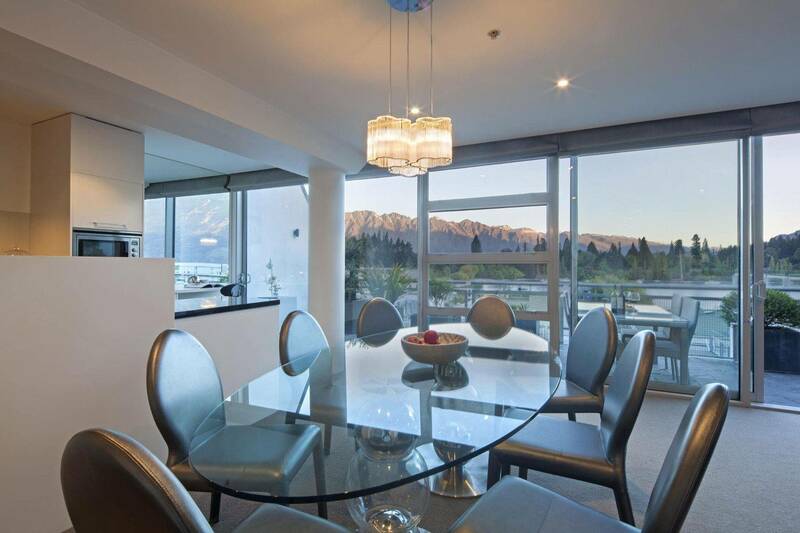 There are three bedrooms, each with an ensuite - one bathroom even has a TV! 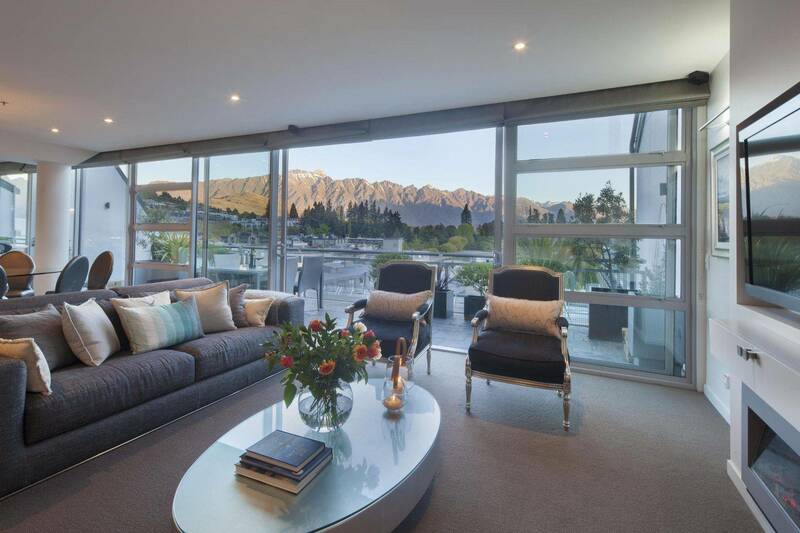 Two of the bedrooms have king split beds and one has an American queen bed. 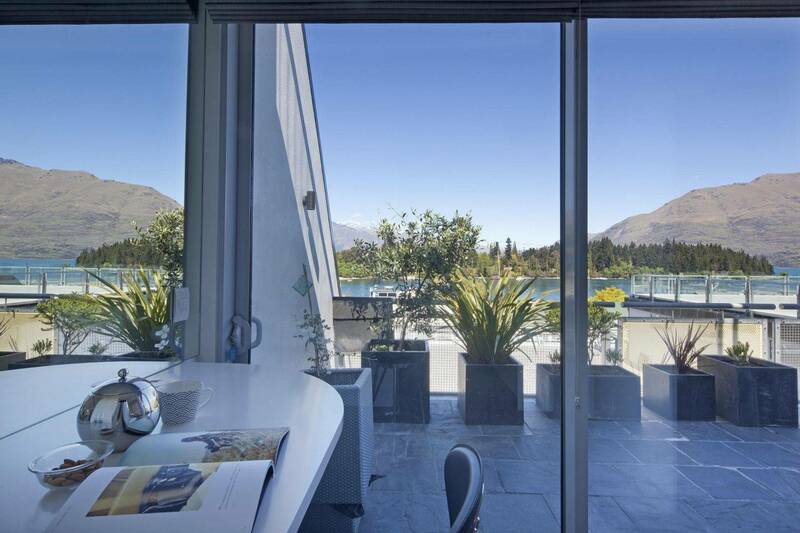 The bedrooms all have luxury linen, large built-in wardrobes, a TV and iPod docking station. 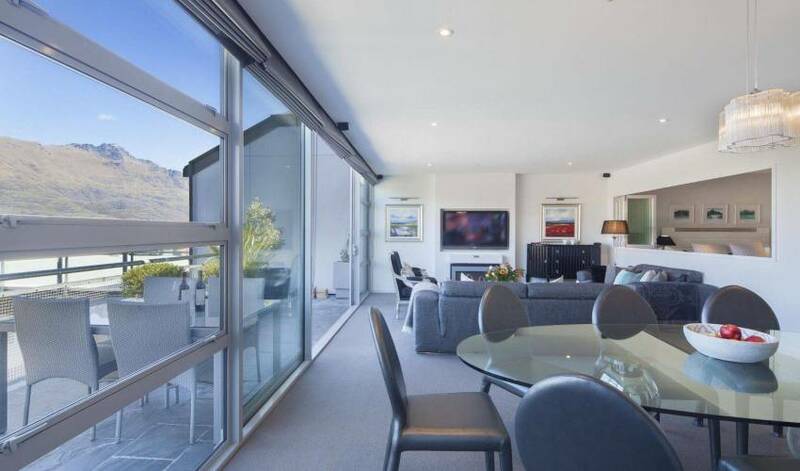 The lounge room has comfortable Italian sofas, perfect for watching movies on the 42 inch TV and relaxing by the electric fire. 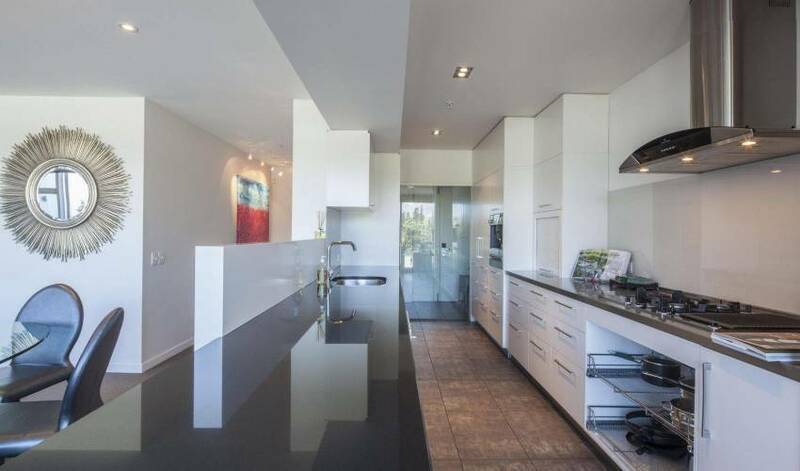 The kitchen has everything you need, and more, complete with a built-in Miele espresso machine. 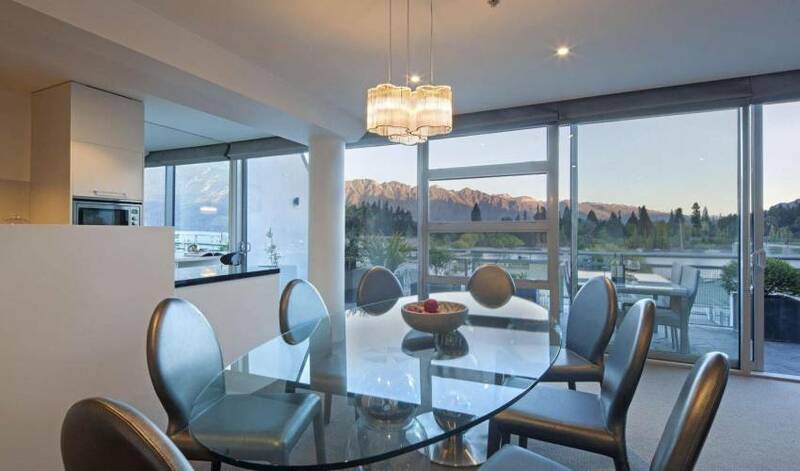 The dining table has seating for eight people, ideal for entertaining. 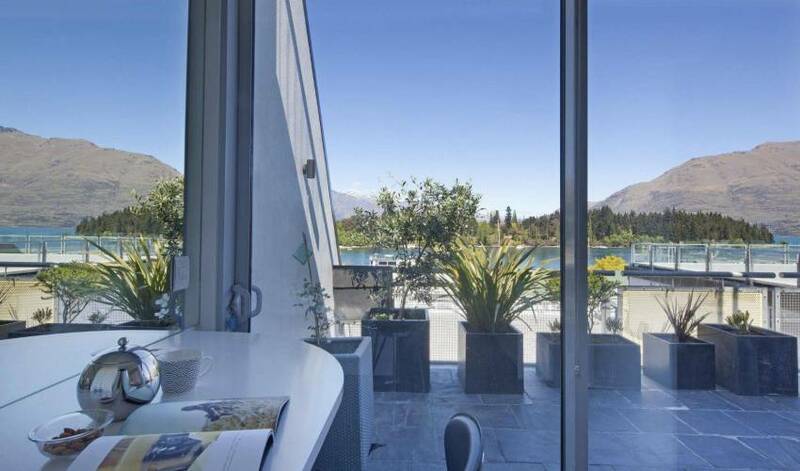 The secure basement carpark has parking for one car and a lockable ski cupboard in the carpark space. There are also full laundry facilities. 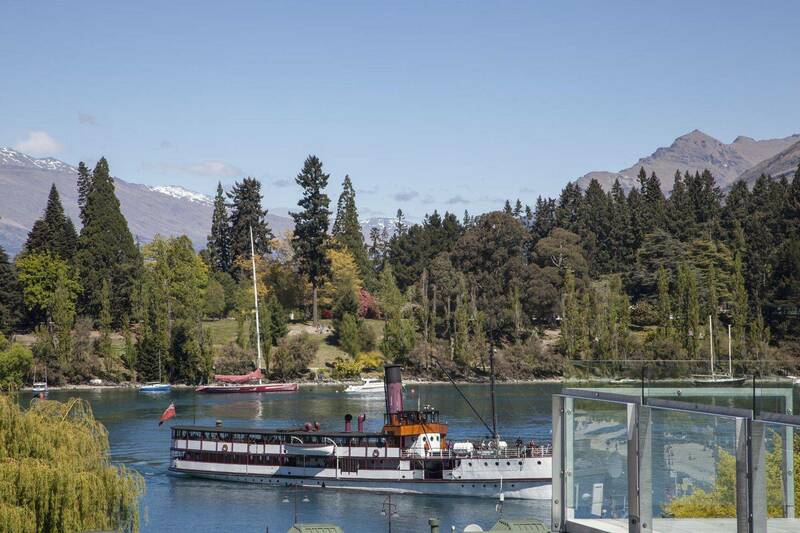 For winter guests the apartment is warm and cosy throughout with underfloor heating and electric wall heaters and for summer guests there are ceiling fans in each of the bedrooms and a barbecue on the lake facing balcony.